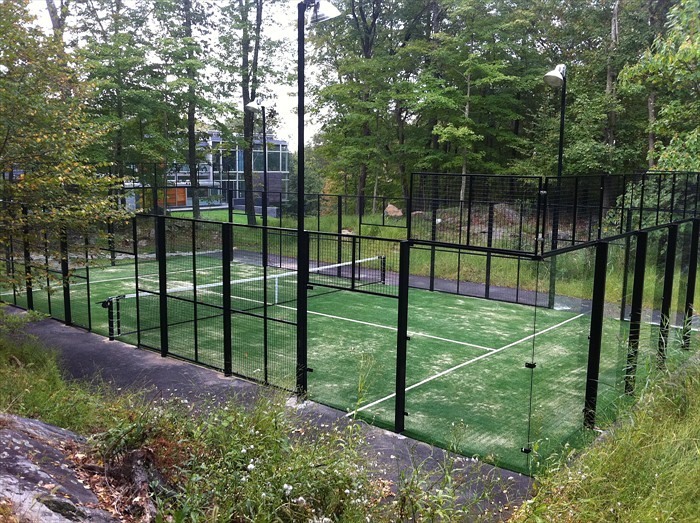 Introducing New York’s First Padel Court! Padel is a racquet sport played extensively in Spain and Argentina. I have been obsessed with the sport ever since I was first exposed to it as a kid. It’s easier to pick up than tennis and the points are spectacular. In many ways over the past few years the main reason I would go home to Nice on vacation was just to play with my family and friends. As I mentioned a few years ago, I always wanted to play in New York, and knew there were enough Argentine, Spanish and French practitioners to organize games, but there were no courts. I am happy to report that New York is now complete! I decided to take matters in my own hand and built a padel court at my house in Bedford just outside of the city. Reach out to me if you want to play whether you are an old hand at padel or a good tennis or squash player looking for something new! As you can see below, the court is ready for some action! In the meantime enjoy this video of some great padel points.